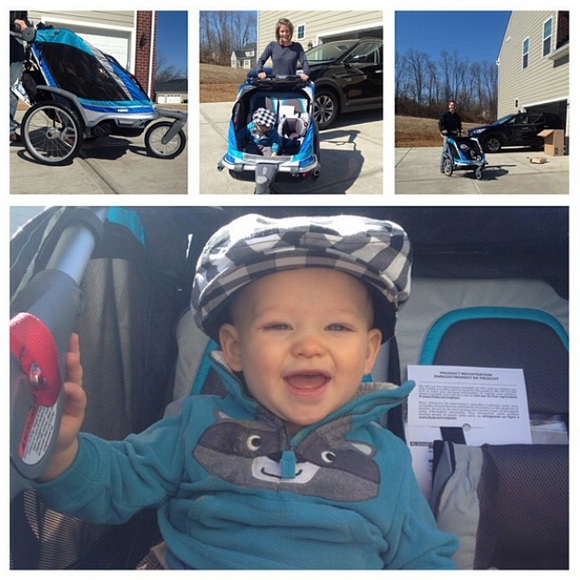 Baby Cole is absolutely loving the Thule Chariot Chinook. 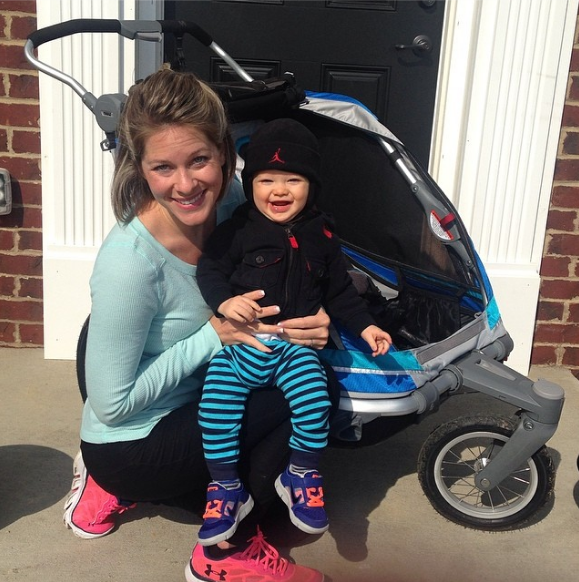 Are you looking for a phenomenal jogging stroller? Or perhaps you’re expecting baby number two and hoping to purchase a multifunctional double child carrier. Well — look no further. I’ve had the privilege of working with Thule to test and review the Thule Chariot Chinook 2. WOW — what an amazing product. The Thule Chariot Chinook 2 is unlike any multifunctional child carrier or jogging stroller I have used. 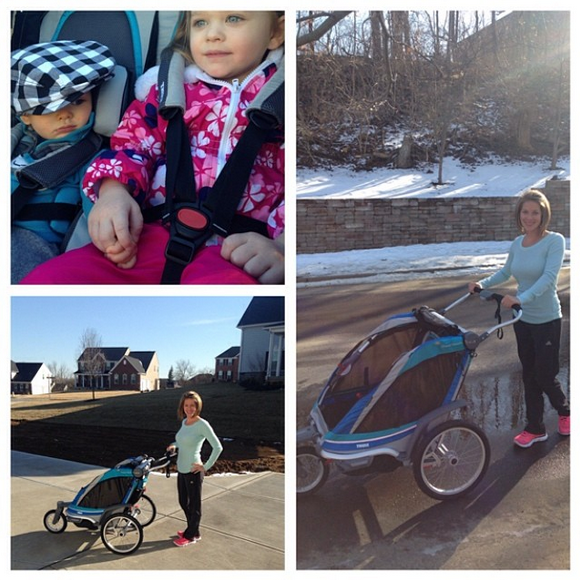 The stroller is extremely smooth, safe, attractive, lightweight, and adaptable. Prior to owning the Thule Chariot Chinook 2, we were unable to go on a fit walk or jog as a family of 4. What a treat to be able to workout together now that the weather is nice in Ohio. Miss Emma held Cole’s hand on our first trip with the double jogger so he would feel safe. Too cute. 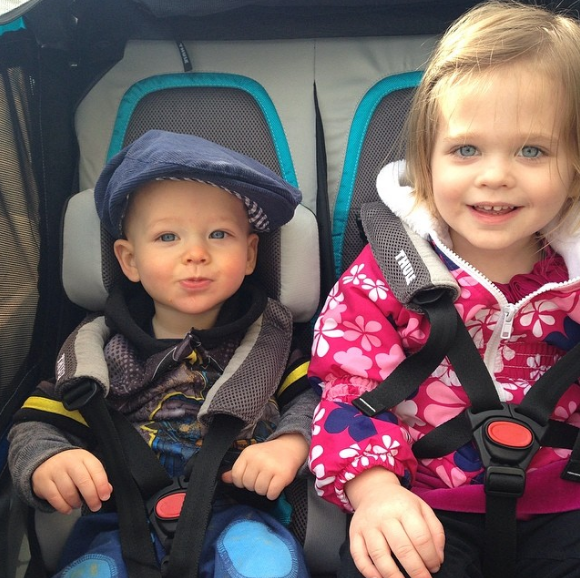 Emma and Baby Cole are thoroughly enjoying their rides in the Thule jogging stroller. Cole was a little hesitant the first time we went out for a run, but Emma held his hand to be sure he felt confident traveling at high speeds with me behind the wheel. Too cute. The kiddos are very safe in the carrier. One of my favorite aspects of the carrier is the safety of the seat features and adjustments. We keep the neck support in the carrier on Baby Cole’s seat, and Emma is strapped in securely on her side as well. I certainly feel confident taking the kiddos out on a variety of grades and terrains. We have traveled to the park and even done a little off-roading with the Chariot. 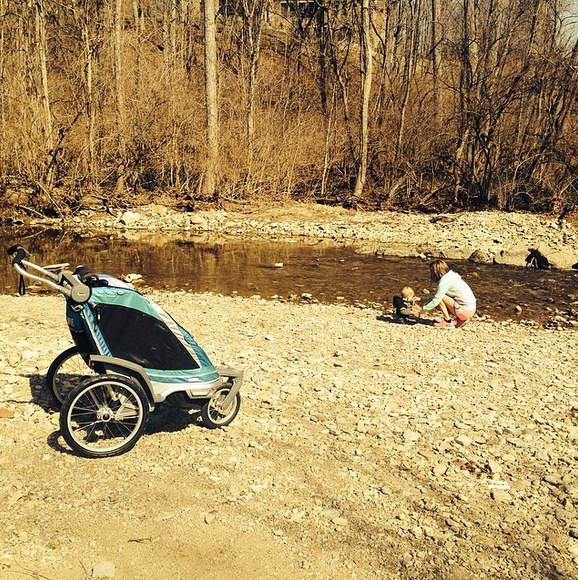 Even on grass and sand, the stroller is smooth and easy to maneuver. Let’s talk about adaptability. The Chariot Chinook 2 is not only a double jogging stroller. It is a carrier to use behind a bike or even skis. How cool! Thule sent me the bike attachment to test out, and it’s very easy to attach and utilize for a transition to bike rides. We’ve even done a little off-roading with the multifunctional carrier. One other huge advantage to the Thule Chariot Chinook 2 is its all-weather versatility. The carrier comes with two covers — a screen and a rain guard. If you have any experience with Ohio, you know our weather can change at any moment. It’s great to have the covers available in the storage areas of the stroller just in case we come upon a rain storm. We are headed out for a run! Miss Emma informed me the other day that she was “going out for a run.” I went outside with her and she immediately wheeled the stroller out of the garage and climbed inside for me to push her along on a run. Too funny. The carrier is so comfortable for the kiddos. There is a seat recline option, and adjustable suspension as well. If you are looking for the very best multifunctional carrier and double jogging stroller option for your active family — I highly recommend the Thule Chariot Chinook 2. Visit their site and let me know if you have any questions about features. I look forward to utilizing our Thule jogger for years to come. Curious how has the Chinook 2 held up? Still in use?